My conception of a monument to the great Washington, DC native, Marvin Gaye. Crafted from a locally-sourced 100+ year old cedar tree, it is inscribed on three sides with the words "taxes", "death" and "trouble". The fourth side is finished glassy smooth. 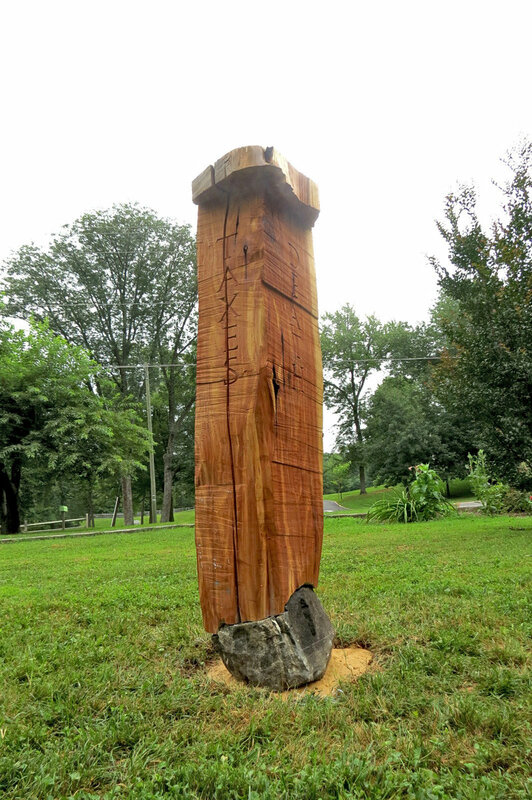 locally-sourced cedar, local fieldstone 5'7" x 16" x 20"